Not so long ago I ordered this fibre. 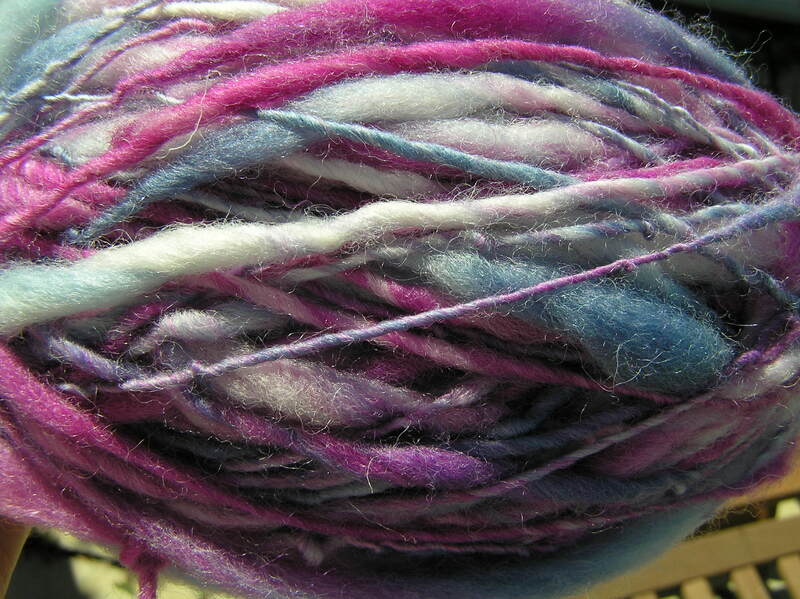 I wasn’t sure what to do with it, but thought I’d have an arty moment and try out spinning thick and thin yarn. The fibre just flew onto the bobbin! I used my new slow speed bobbin and the thick bits turned out lovely and squishy if a little bit overly plumptious and the thin bits were, well, to be honest, rather too thin and twisty. I wasn’t sure how to set the yarn so just gave it a soak in hot water and swirled it around a bit hoping it might felt a bit. Picperfic (who sells somes very pretty fibre on http://www.etsy.com/shop/picperfic) suggested alternating between very hot and very cold water, so I will give that a go next time. 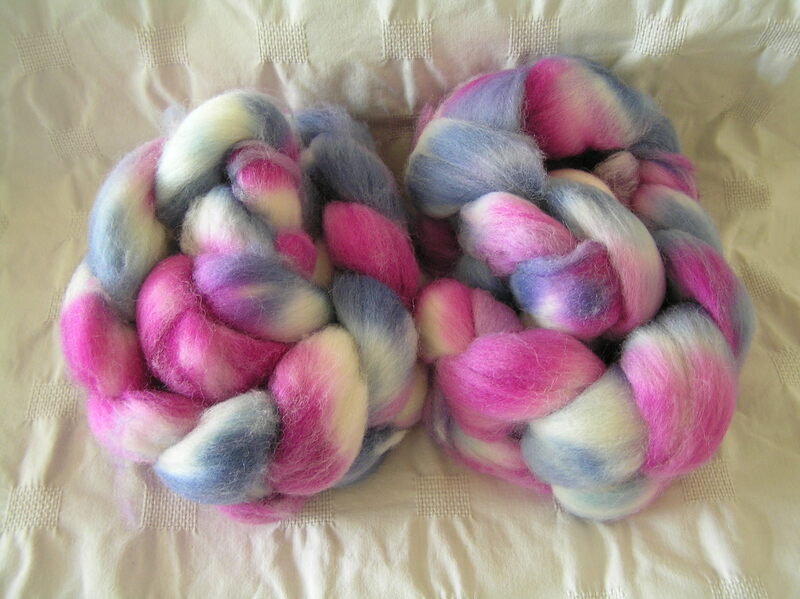 This is how the yarn ended up and how it looked when knitted. I started a hat, but it was a disaster because it was sunny, I was outside and not paying attention at all, so it got frogged! 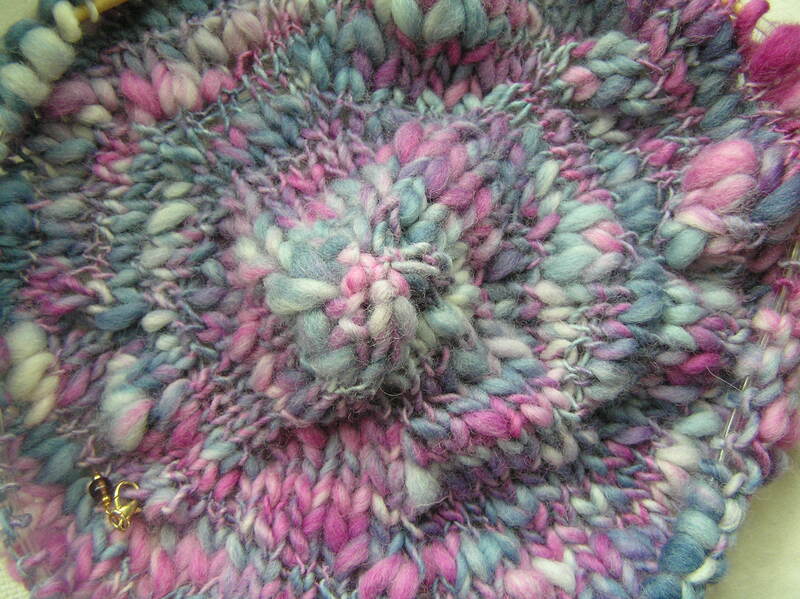 This entry was posted in Fibre, Knitting, Spinning and tagged ladybug wheel, Spinning, thick and thin. Bookmark the permalink.